Warning: If bathroom talk makes you cringe, skip today’s post. If you have not yet had to potty train a child, I can promise you that it will be one of the strangest experiences in your parenting life. It is so weird. It may also be the first major time you, as a parent, feel completely and utterly defeated by your child. Because it is not easy or very much fun. And it stinks. Literally. But, you are not alone. Every parent must eventually battle and conquer potty training. For many lucky parents, the hardest part of potty training is the second part (aka poop). Some kids are not keen on the idea of putting “that” in “there.” It is scary (for the child and the parents). For those parents who found potty training to be a breeze, we all hate you. Just kidding. Well, maybe just a little. For everyone else, fear not! Here is my handy dandy list of the most ridiculously helpful potty training books for kids. 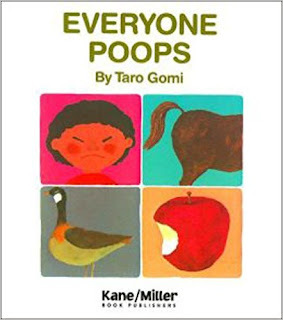 At this point, Everyone Poops by Taro Gomi should be considered a classic. If you are not familiar with this book, it is pretty simple. Everyone eats; therefore, everyone poops. The writer uses animals to help children understand the concept. The pictures and ideas are easy for children to understand. How can it be scary when everyone does it? Let’s take it a step farther. 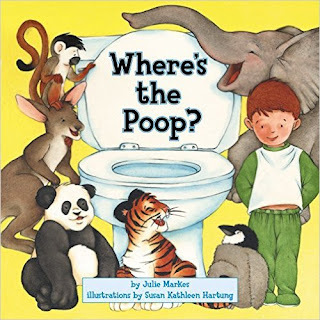 If the book with pictures isn’t enough to help your child, then introduce Where’s the Poop? by Julie Markes and illustrated by Susan Kathleen Hartung. This is a lift-the-flap children’s book. What is more fun than lifting the various flaps to find out where the baby animals have pooped?! Ha! Plus, it ends with a human child going to the bathroom. It is silly and children love it. 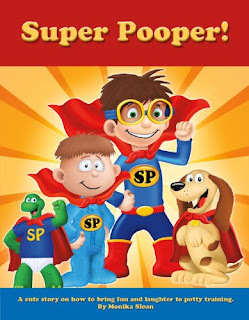 For the family who is okay with potty humor, Super Pooper! by Monika Sloan will be a hit. It encourages kids to be super poopers by putting the stinky stuff in the potty. It is repetitive and ridiculous. But, it is just silly enough to encourage your child. Just be warned – your child may excitedly announce he/she is a super pooper in the middle of the grocery store. 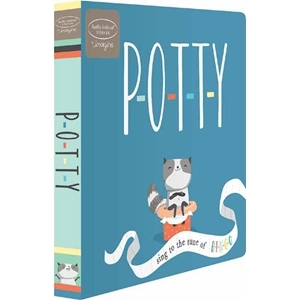 If you are at the beginning stages of potty training, P-O-T-T-Y is a cute board book that introduces a song to help prepare children for potty training. The tune of the song is the same tune as BINGO. Is it stuck in your head already? Since little ones usually already know BINGO, this is a fun way to encourage kids to use the potty. 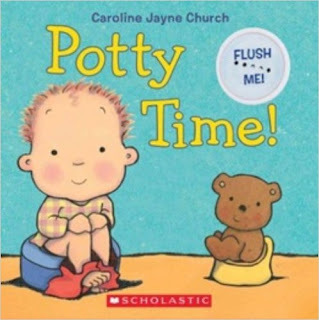 Potty Time by Caroline Jayne Church is another introduction to potty training. This is a board book that includes a “flushing” sound button to get children interested in going to the restroom. Since kids seem to love flushing a toilet best, this book is effective in allowing them to “flush” repetitively. Not a book, but another great tool to have at home as you prepare for this adventure. 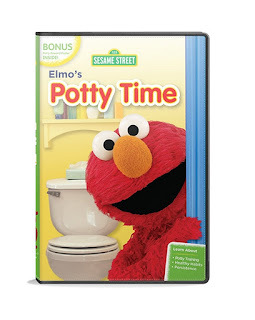 Elmo’s PottyTime works in the same way Sesame Street always does – it uses colors, fun songs, silly characters and creative situations to teach children. Of all the shows involving potty training, this one is the most helpful. Ahh... Everyone Poops has been a hit in this house! We also used "Daniel Tiger Goes to the Potty", and "Duck Goes Potty". 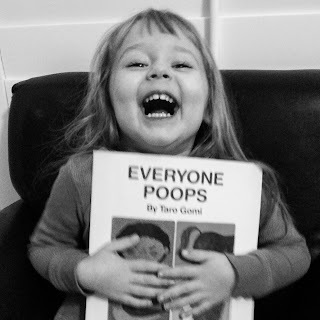 I like the Super Pooper book though, need to get that for when Lainey potty trains! Lol. I'll have to add "Duck Goes Potty" to our list! We also watched the Daniel Tiger episode. My kids like the Elmo one better, but I still show them the Daniel Tiger one.